Ohhhhh my goodness, this sounds amazing! Definitely something I'll be adding to my TBR! Wow I didn't know there will be a book like that! Added on my TBR-2018 list! Sounds awesome, I have to take a look at this. Ooh nice!! Definitely going to keep an eye on this one! OMG! This book sounds amazing. Can't wait to read it. I've never heard of this, but wow, the cover is different and definitely grabs your attention! January seems so far away but I'm sure it will be here soon. Great choice! This is new to me too. 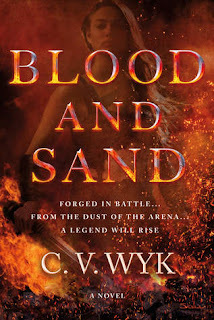 Warrior princess and a gladiator will make this book have many exciting moments as well as sparks. Great cover and title. I love when a book surprises me and I wonder how I missed it before. Happy reading. I recently discovered this one and it sounds fab!! I haven't read of this one before! The cover looks good! I hope you enjoy it! Wait! What? I didn't know about this book! I don't understand how could I miss it, it sounds absolutely fantastic! OMG, thank you! I'm adding it to Goodreads now! Hey, I'm all for stories with warrior princesses! I've been seeing this book around more recently, and it sounds great :) I hope you enjoy it! Fabulous pick! This is the first that I have seen this book but it sounds great. Enjoy! I'm looking forward to this one too! Sounds good! Here is my WoW for the week. This one does sound pretty good. Hoping that you love it. Ooh, this sounds amazing! I hadn't heard of it before, so thanks for putting it on my radar! This sounds great! Great pick! I read The Valiant too and was interested in learning about that time period and culture. This ones sounds good too. I havent seen this one yet, but it sounds good. Your WoW picks are always so good, Alyssa! 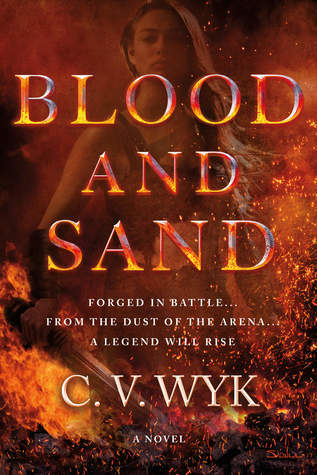 I hadn't heard a peep about this book before reading your post, but clearly I need it because, hello: warrior princess. Heck yes! OMG this book sounds so amazing! So interesting! I'm adding it to my TBR right now and can't wait to read it! Thanks for visiting my WOW, Alyssa!